CNES’s space telescope recently detected the transit of a temperate Jupiter-sized exoplanet 1,500 light-years from Earth. This discovery will teach us more about similar types of planet. 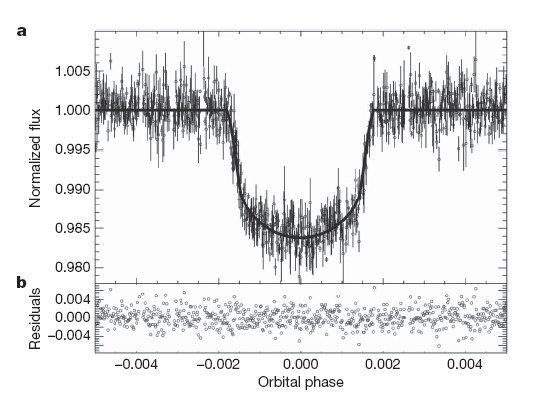 CoRoT-9b, the 1st temperate Jupiter-like exoplanet observed transiting its star. Credits: Instituto de Astrofísica de Canarias. A year on CoRoT-9b in fact only lasts 3 Earth months. The gas giant takes 95 Earth days to orbit its star. The planet is similar to Jupiter (1.05 times its mass) but in a Mercury-like orbit. This means it is 10 times further from its star than other Jupiter-like planets so far detected by CoRoT. “Once again, CoRoT has made a tantalizing discovery that is a treasure trove of information,” said Olivier Lamarle, in charge of astrophysics programmes at CNES. 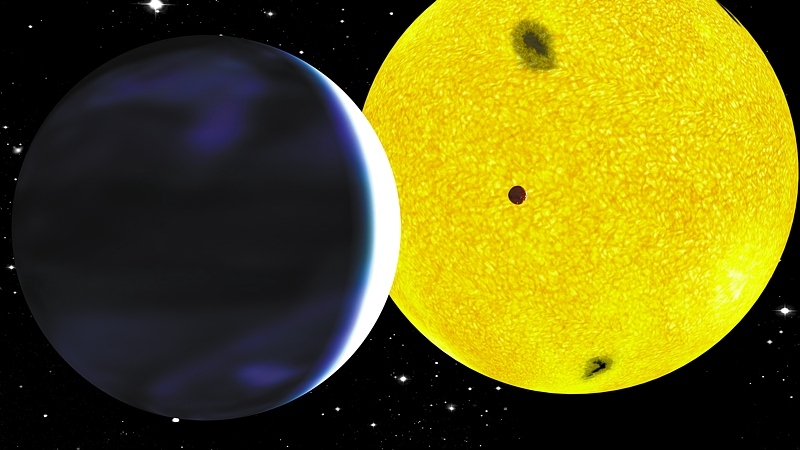 Transit of CoRoT-9b (the dip corresponds to the mini-eclipse caused by the exoplanet crossing in front of its host star). Credits: Nature. For the first time ever, scientists will now be able to probe the atmosphere of a temperate gas giant planet. “Thanks to this first-ever observed transit of a temperate Jupiter-like planet, scientists will be able to describe the composition of its atmosphere precisely,” explains Olivier Lamarle. A transit is a mini-eclipse that occurs when an exoplanet crosses in front of its star. During such a transit, it is possible to “see through” and analyse the planet’s atmosphere. The CoRoT spacecraft has been in orbit since 2006. Credits: CNES/Ill. D. Ducros. CNES’s space telescope has thus clocked up its 8th exoplanet discovery. The planet is 1,500 light-years from Earth in the constellation Serpens and orbiting a Sun-like star. It was detected after 145 days of observation during the summer of 2008. The team of European astronomers who discovered the planet published an article in the 18 March 2010 issue of the journal Nature. 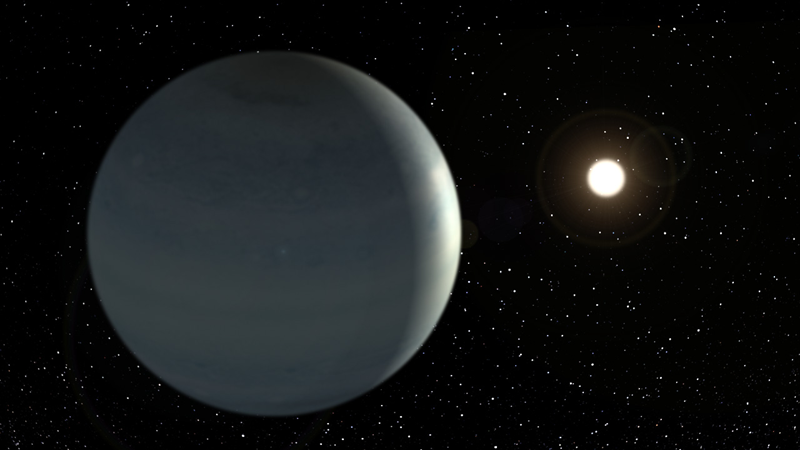 CoRoT-7b, the 1st Earth-like exoplanet discovered in 2008 by CoRoT. Credits: CNES/P. Prodhomme. The count of exoplanets discovered so far stands at 430. Of these, only 70 have been observed transiting their star by telescopes in space and on the ground. In orbit since 2006, CoRoT is set to add to its haul of discoveries in the coming years. 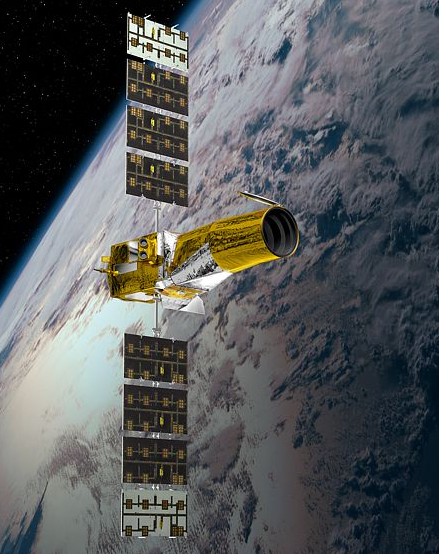 Indeed, CNES and its national and international partners decided at the end of last year to extend CoRoT’s mission through to 31 March 2013. * CoRoT-9b’s mass was determined from the ground using the HARPS instrument at the European Southern Observatory (ESO).